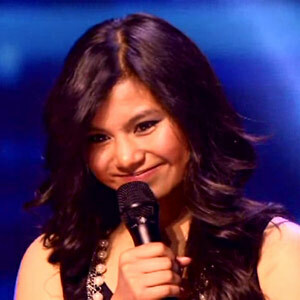 Ellona Santiago is part of the group being mentored by Paula Abdul on the U.S. edition of The X Factor. "Filipinos prove to have the ’x factor’ as 15-year-old singer Ellona Santiago made it to the second cut of US’ first ever season and talked about talent search The X Factor. "After the tension-filled Boot Camp round, Ellona was among the soloists chosen to form the group InTENsity that will be among the eight group acts to be mentored by no other than judge Paula Abdul. "Simon Cowell, on the other hand, will mentor the girls, L.A. Reid will mentor the boys, while Nicole Scherzinger will train eight solo acts over 30s. "All 32 acts will now go to their respective mentor’s home or to a location of the judge’s choice for their final shot at earning a place on the live shows. They have to perform and impress their judge and another surprise celebrity guest mentor that they deserve one of the coveted spots in each judge’s final category. "Will Ellona impress Paula and make it to the live show? "Don’t miss the first two ’Judges’ Home’ episodes on The X Factor this Thursday (October 13) and Friday (October 14), 7 PM, in a special 1 hour 45 minute via satellite airing on Studio 23."